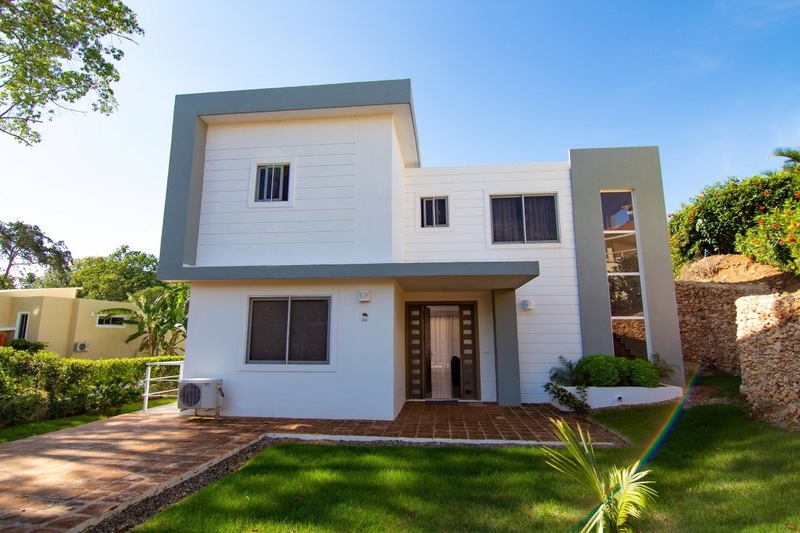 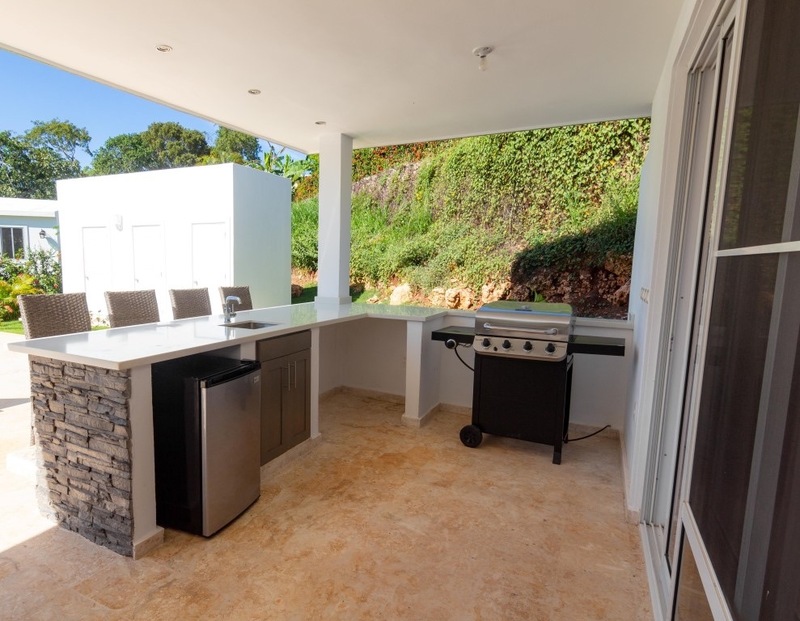 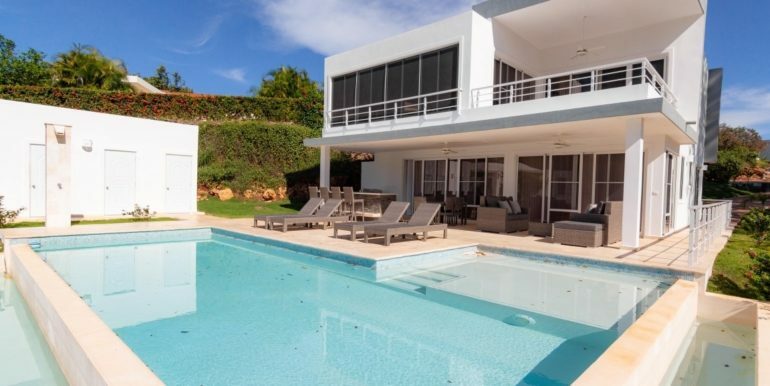 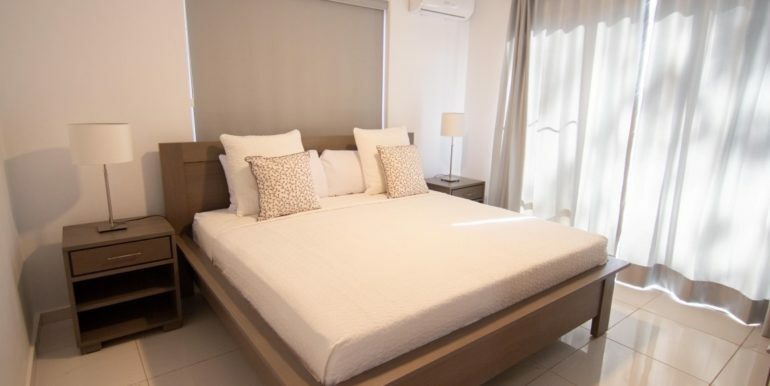 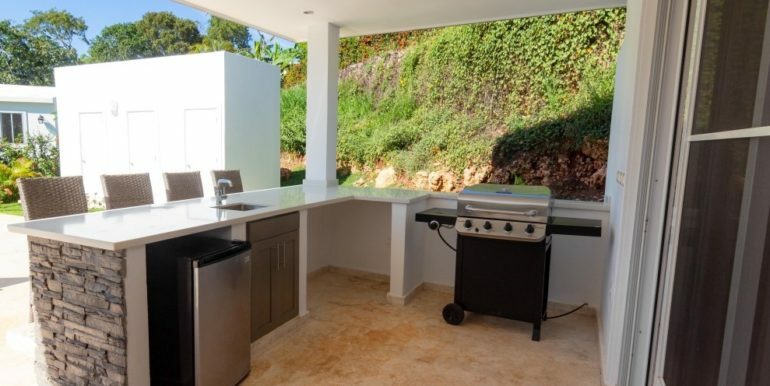 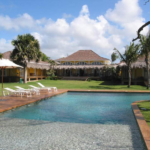 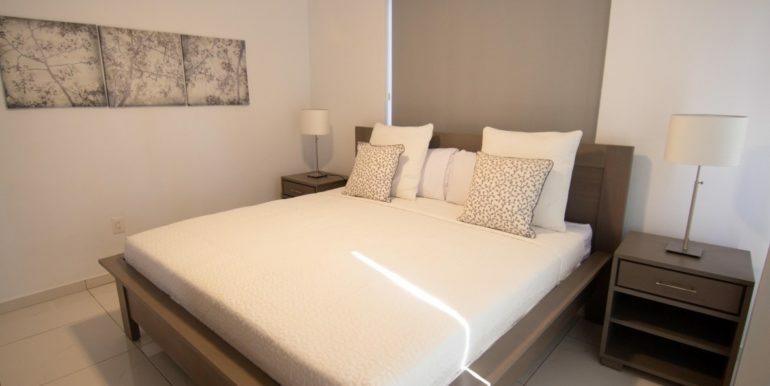 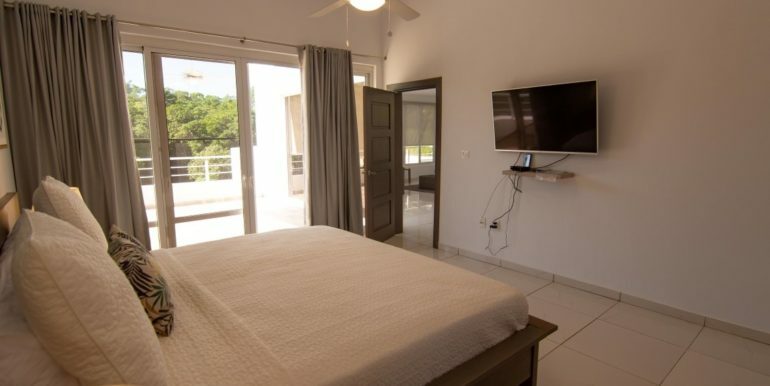 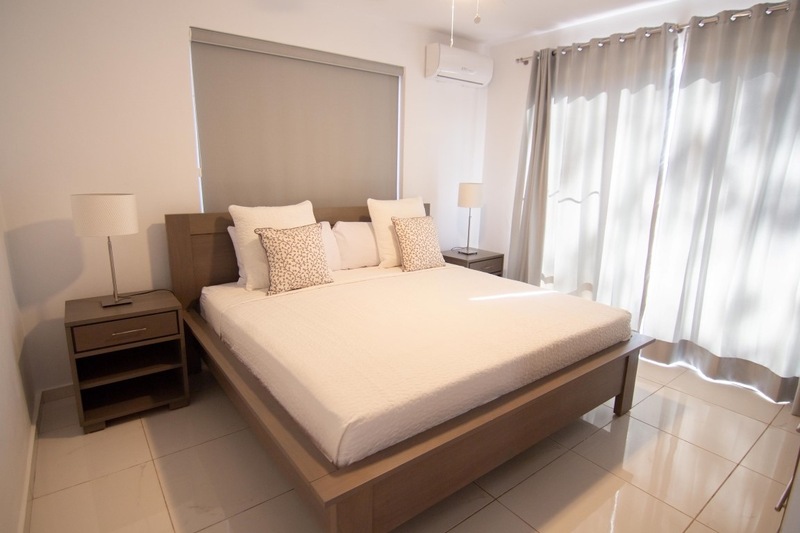 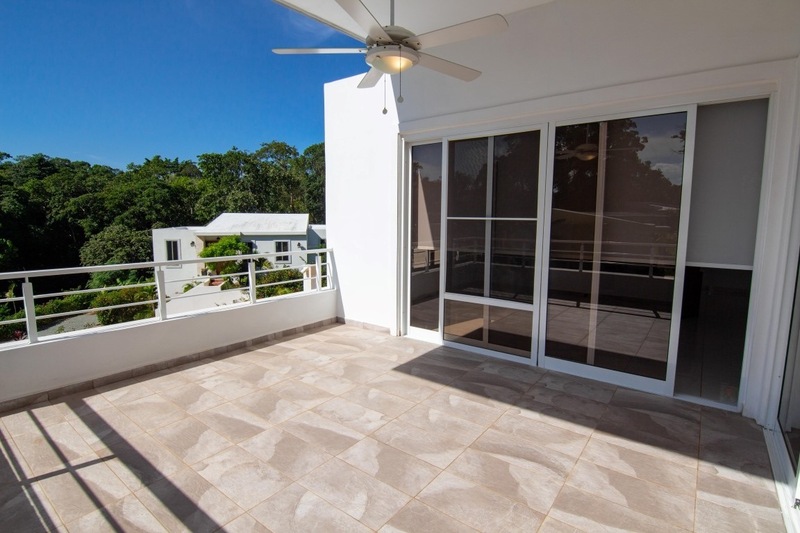 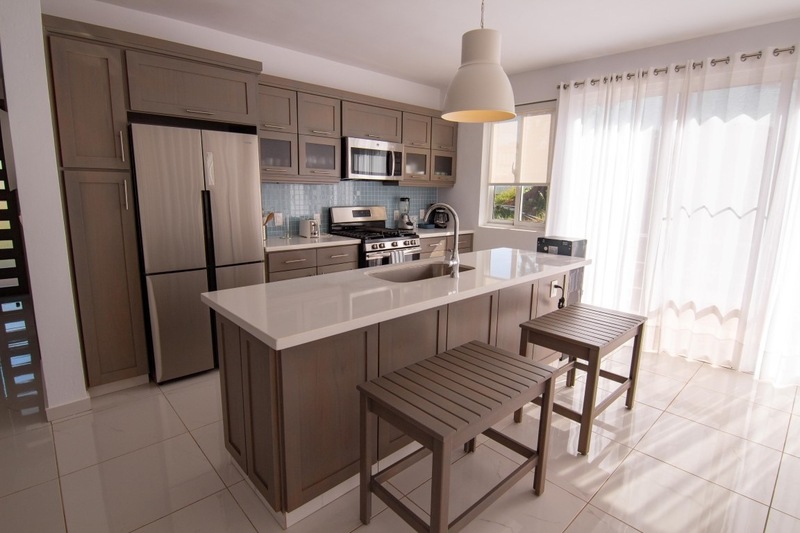 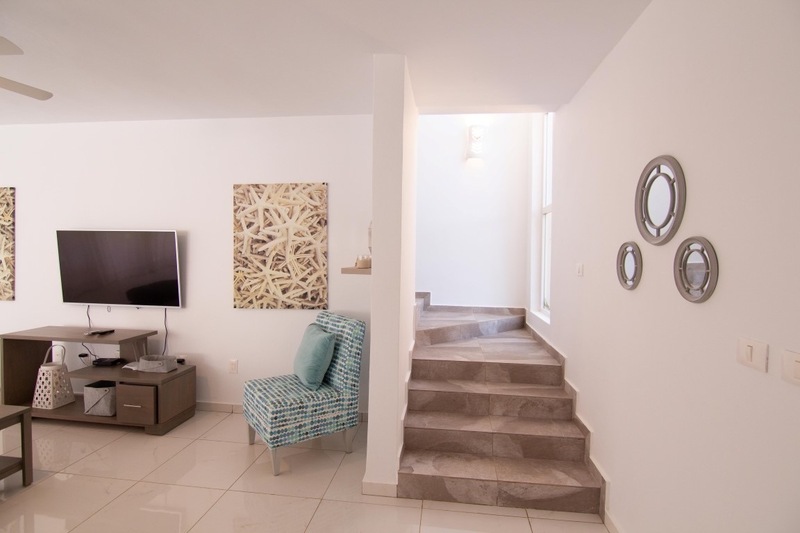 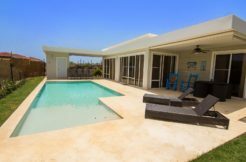 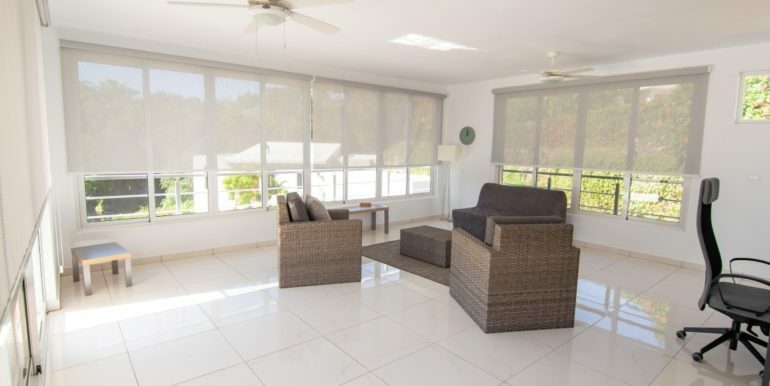 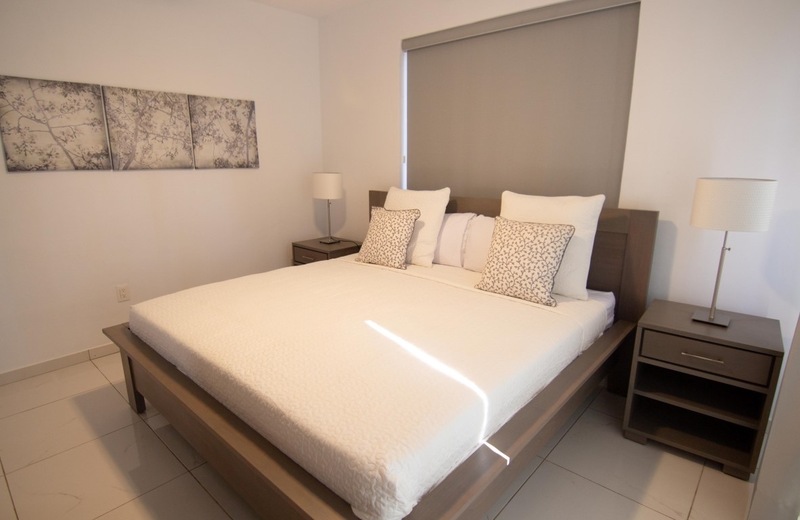 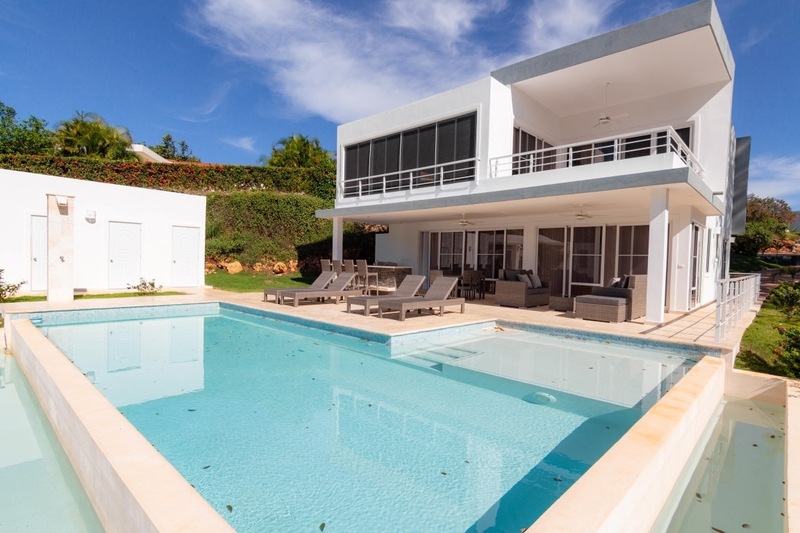 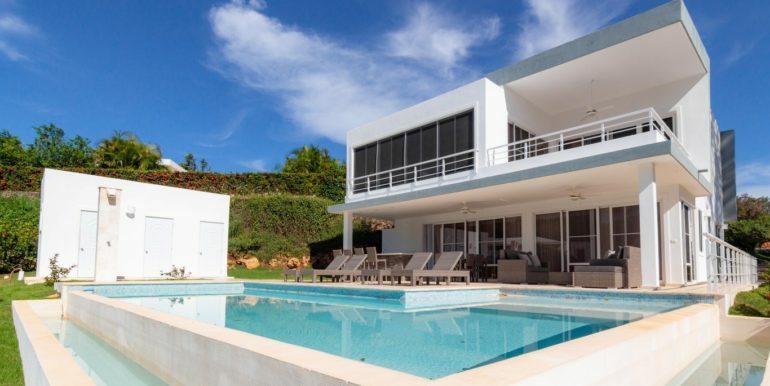 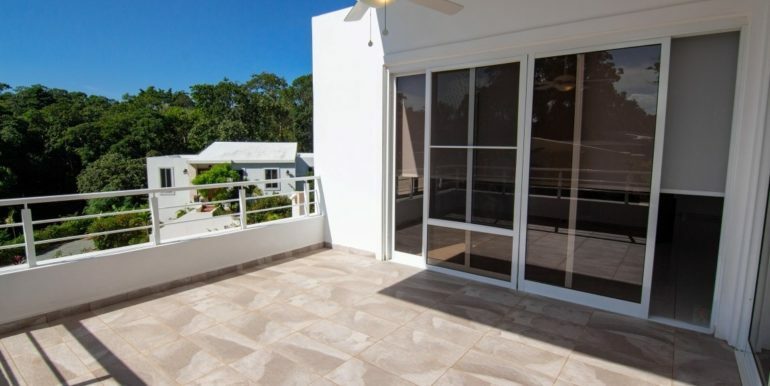 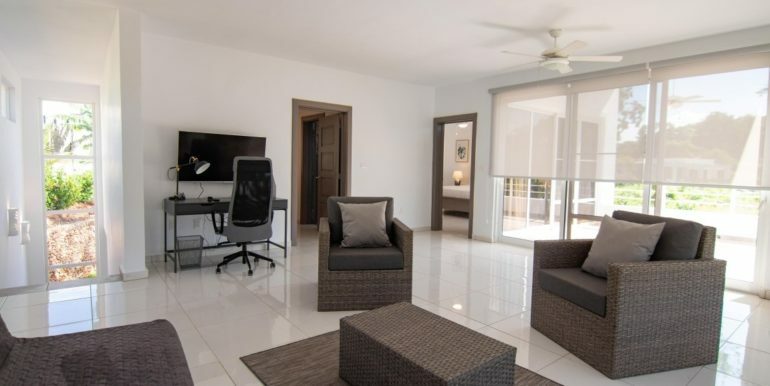 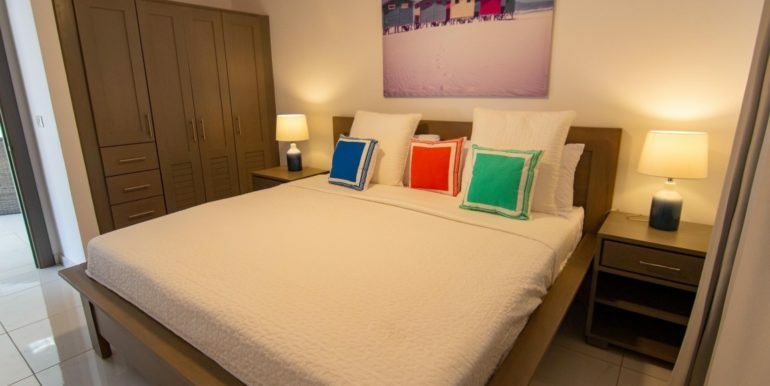 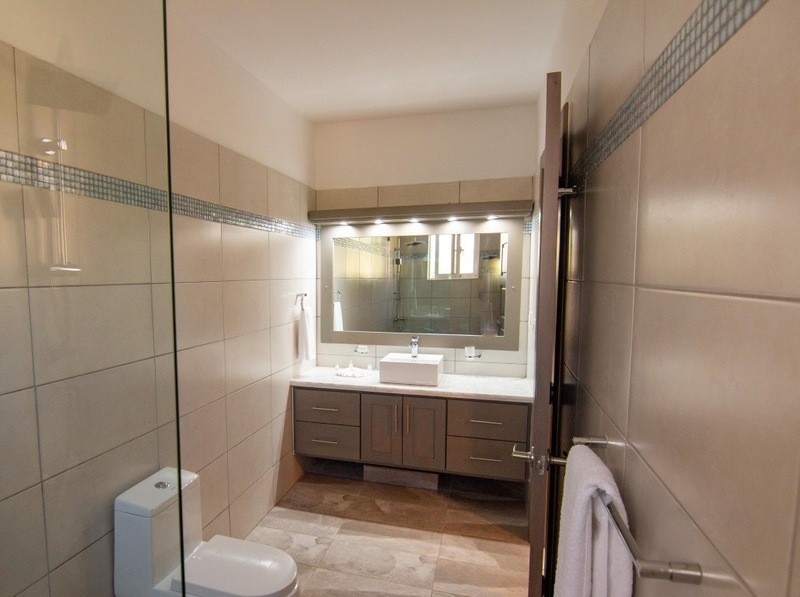 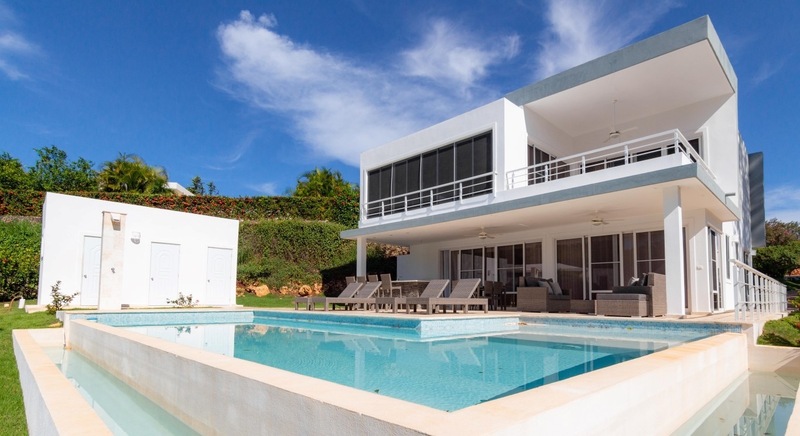 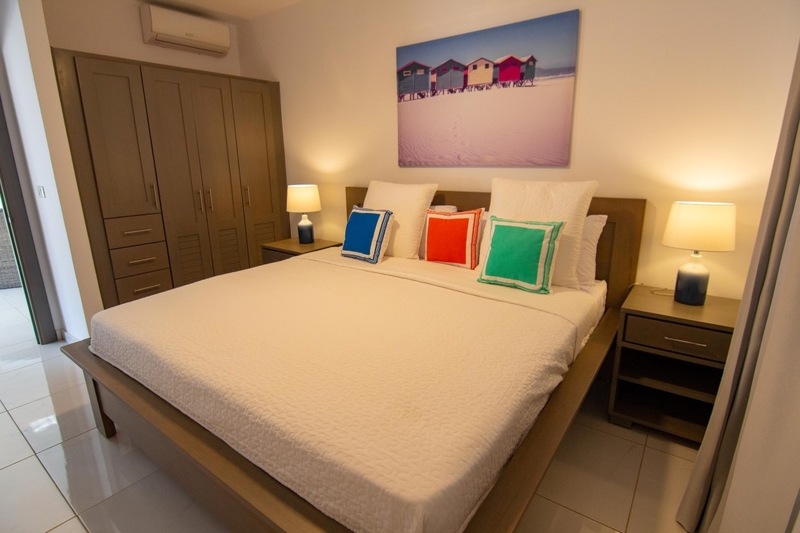 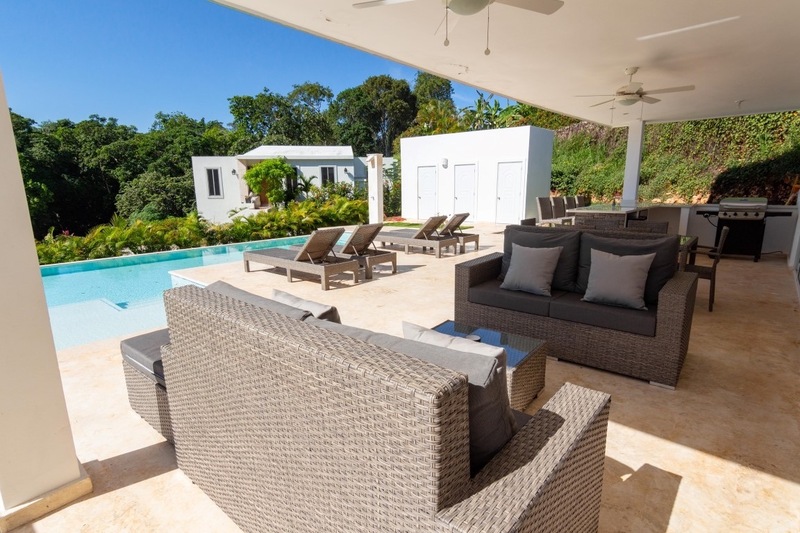 Contemporary Rental Villa Sosua 3 Bedrooms. 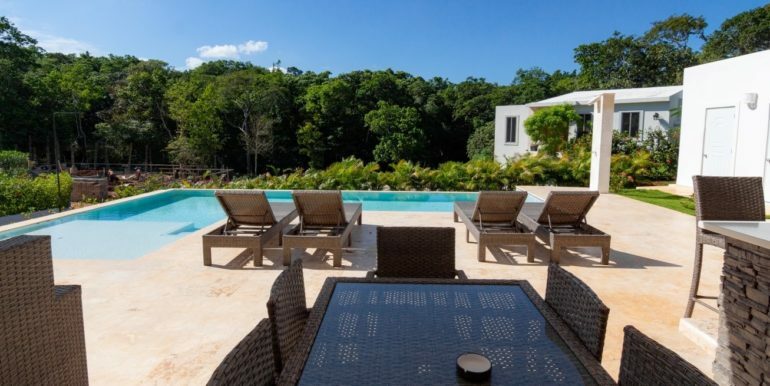 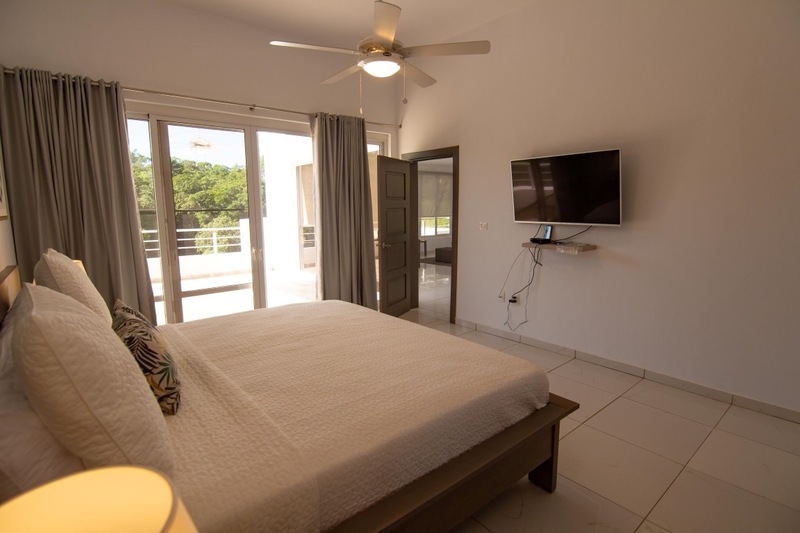 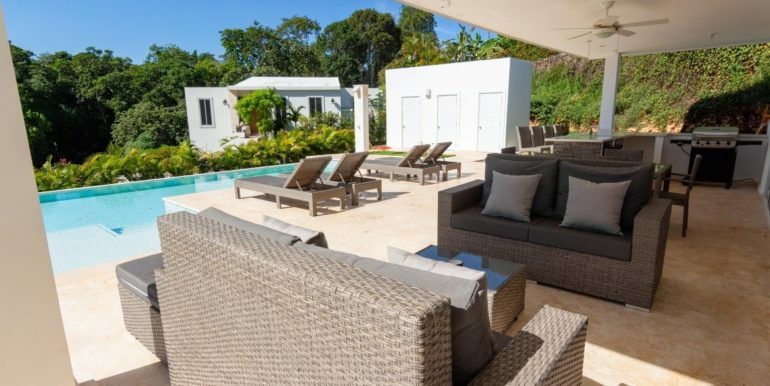 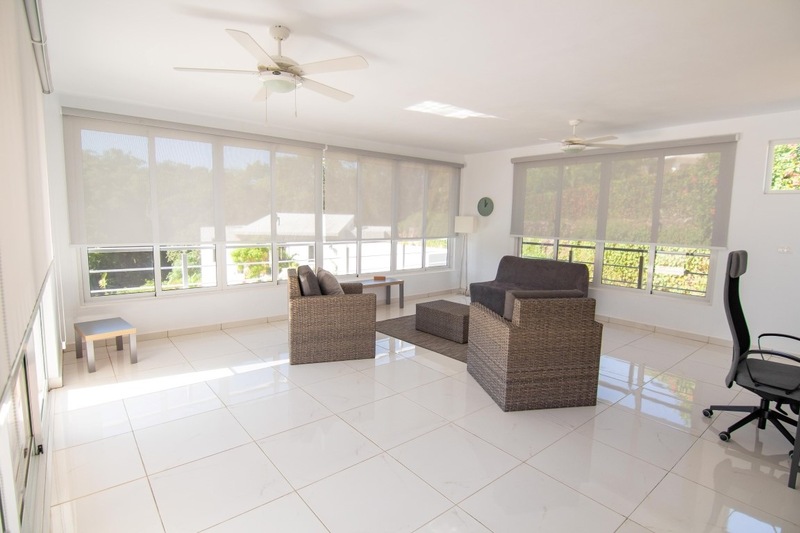 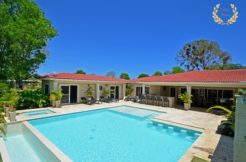 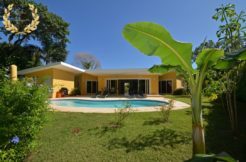 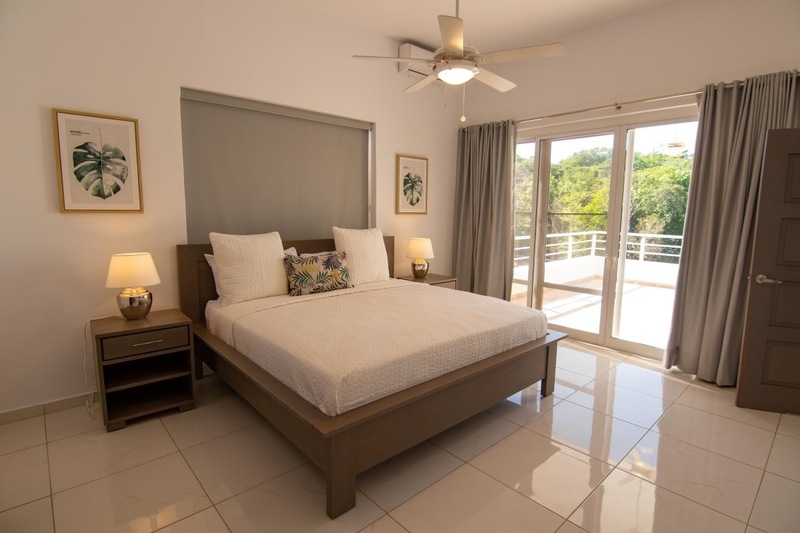 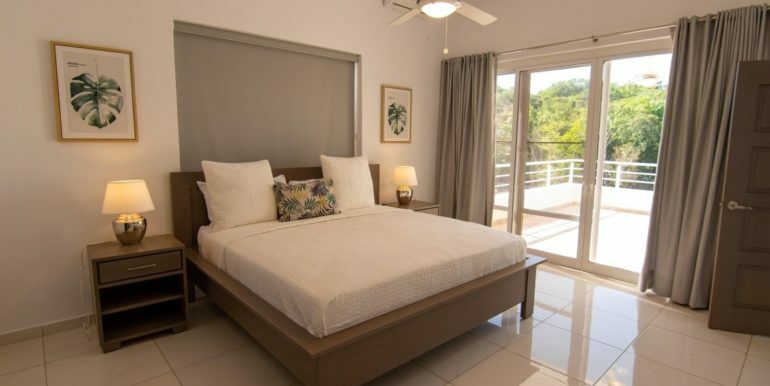 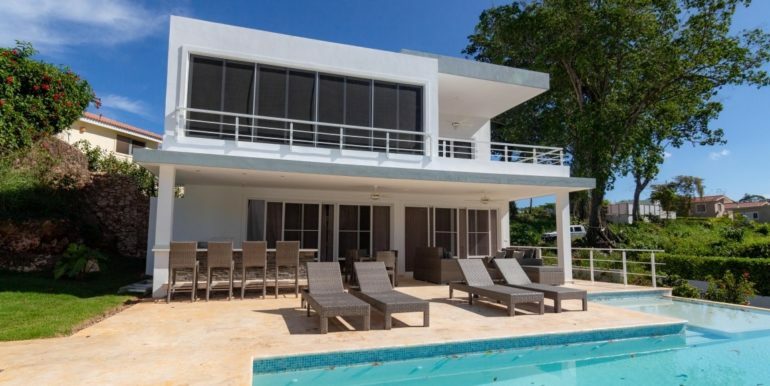 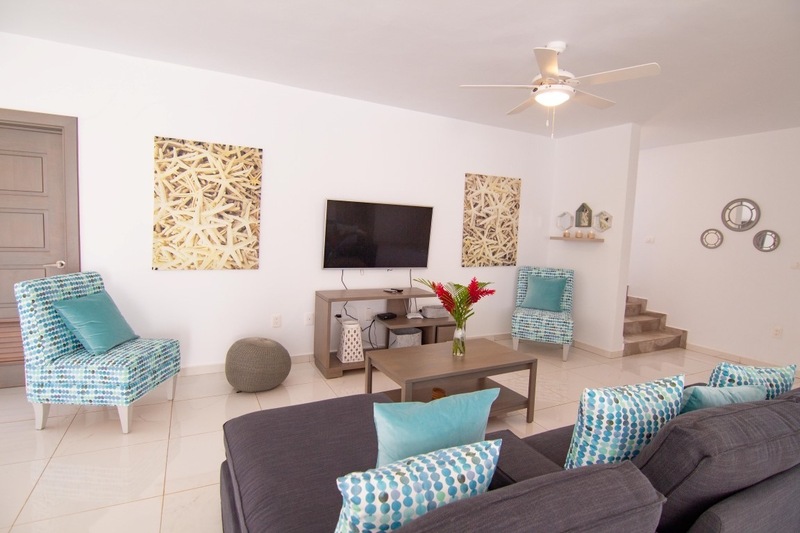 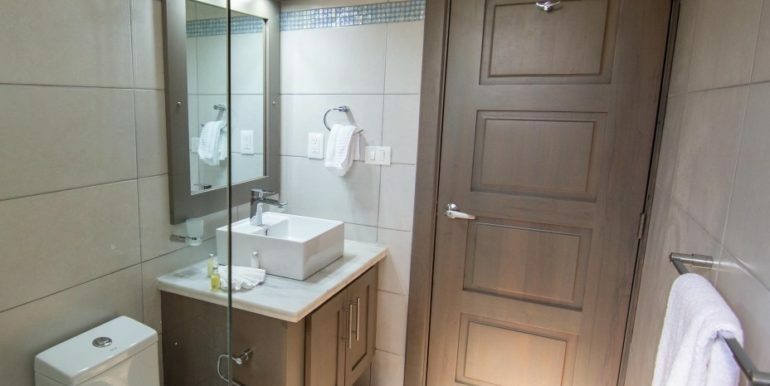 Built with contemporary style, this 3 bedroom, 3 bathroom villa rental in Sosua is already favored by discerning travelers due to its design and location. 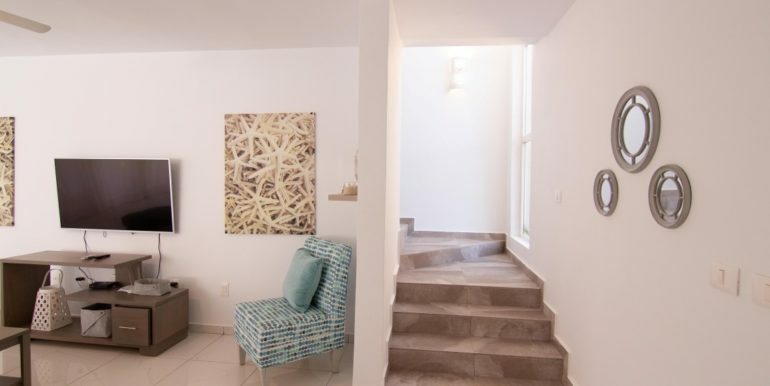 The first floor has an airy and spacious living room in a minimalistic, floor-to-ceiling all-white design. 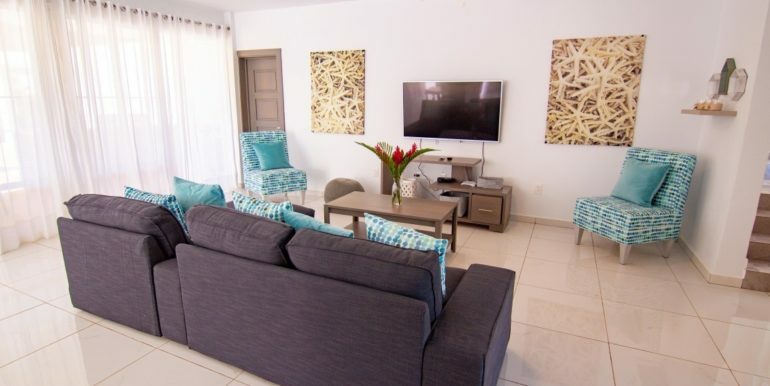 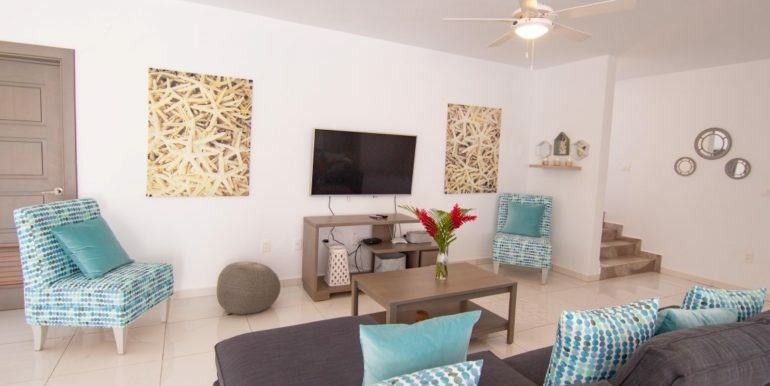 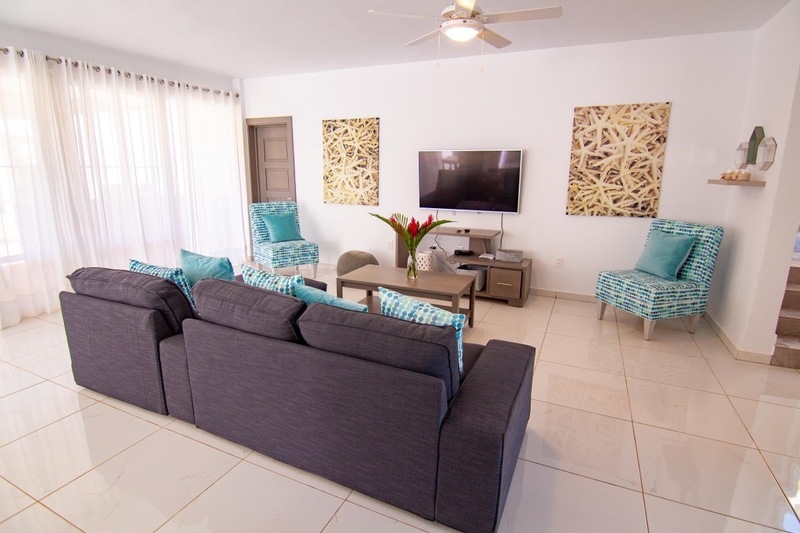 Coral-themed framed art and tones of green in the chairs and sofa cushions bring a special touch to this vacation home rental in Sosua, reminding us we are on vacation. 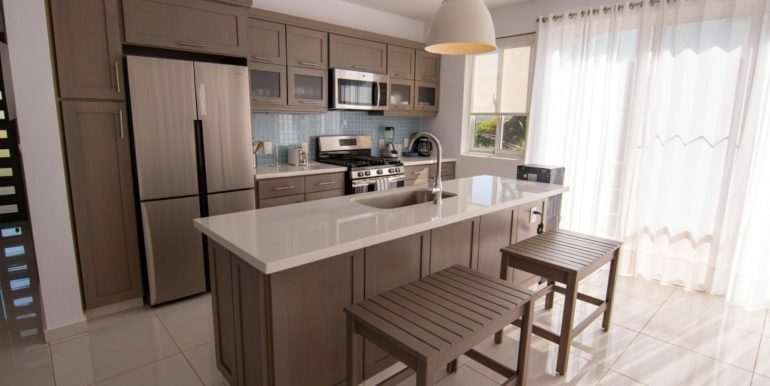 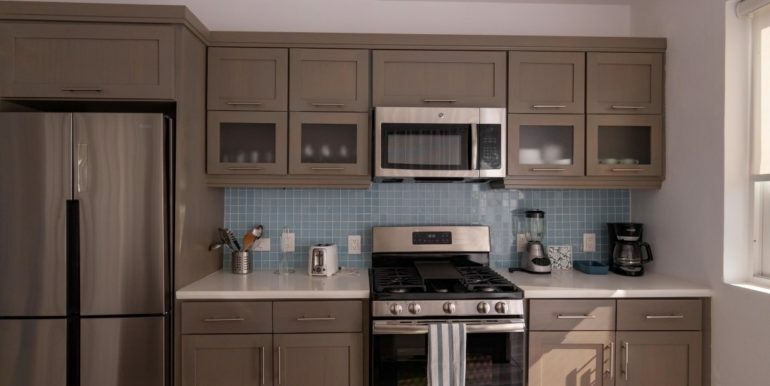 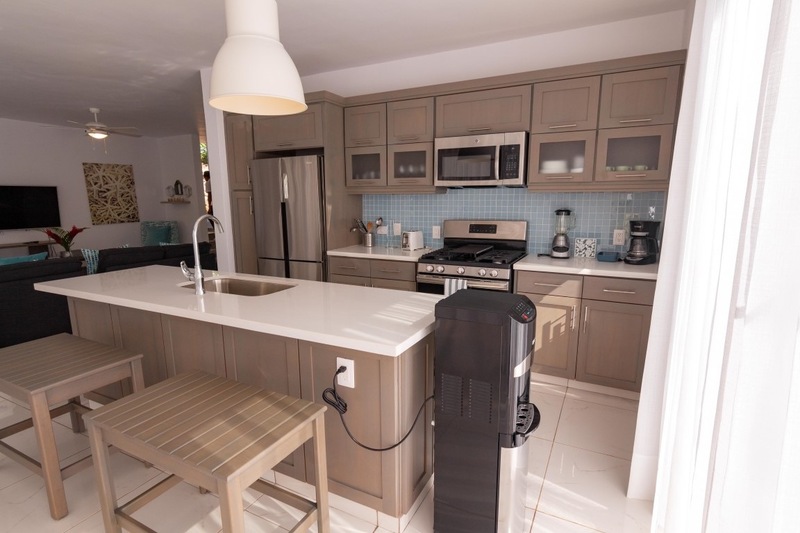 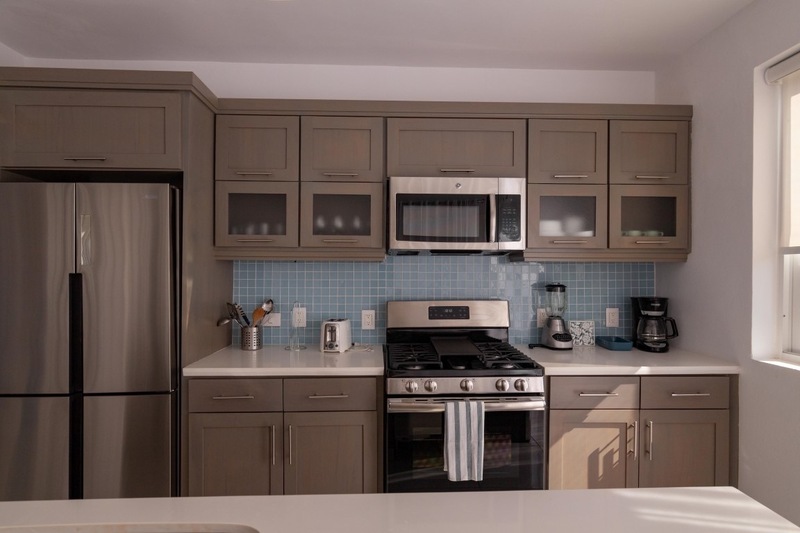 The kitchen has a beautiful finish in neutral color, featuring stainless steel appliances, a center island with wide seat stools and plenty of natural lighting through its tall glass doors. 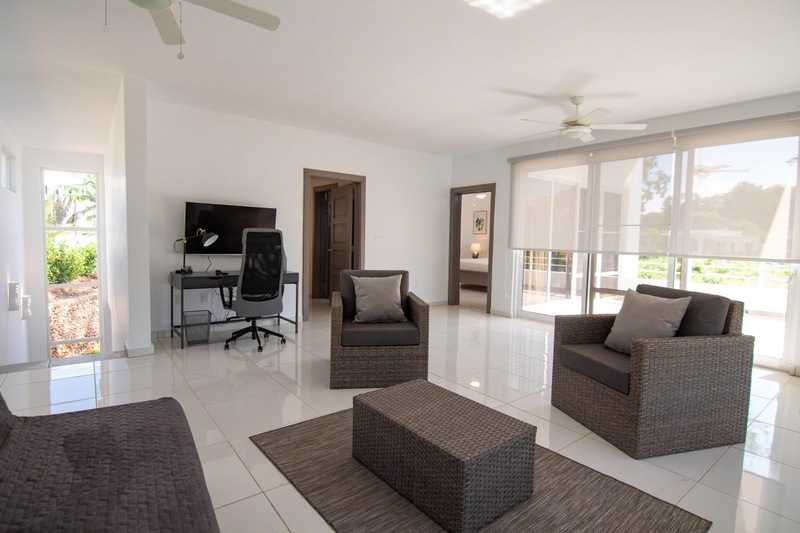 A family area on the second floor is quite spacious, has beautiful roll down blinds and more sofas – including a desk with its high back chair. 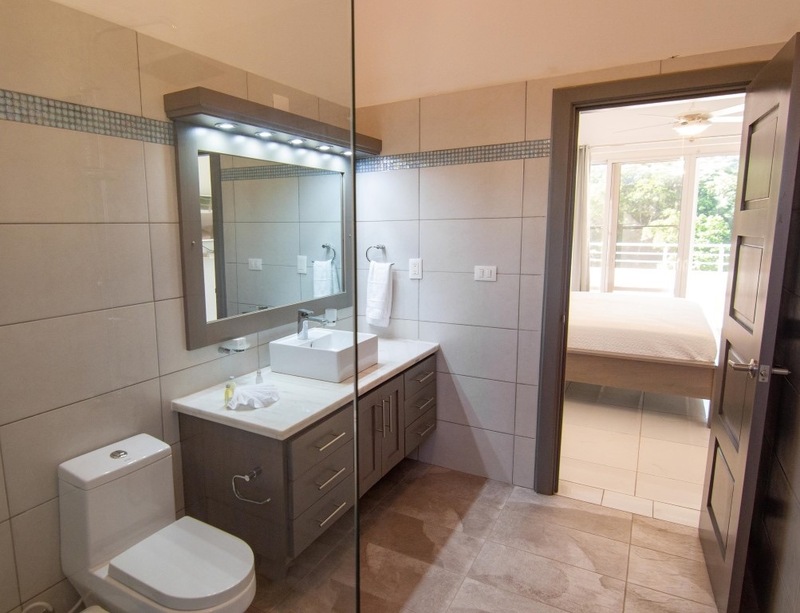 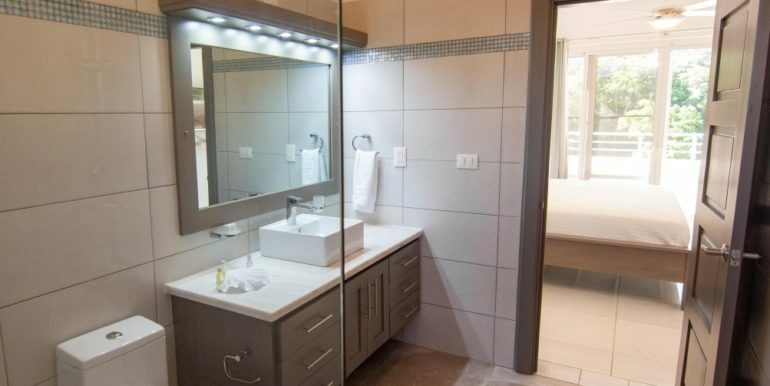 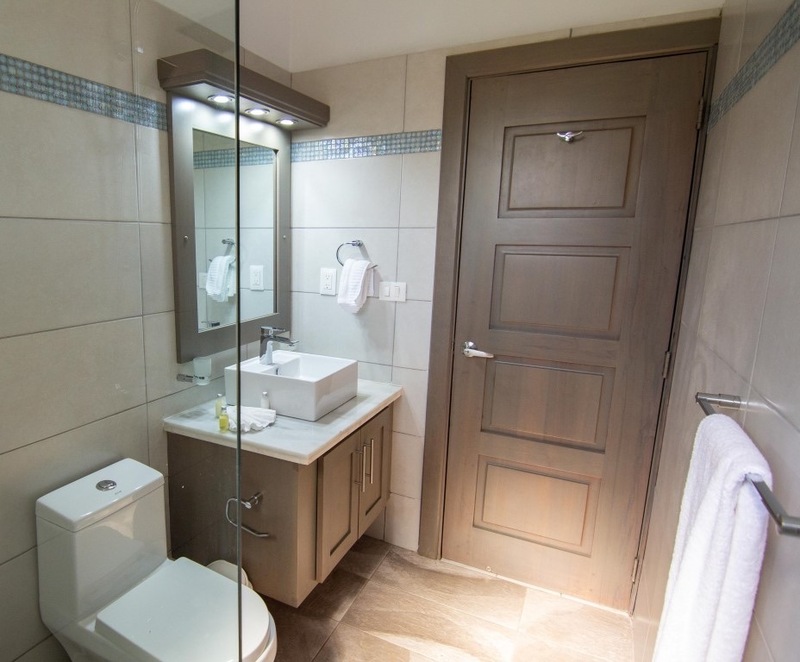 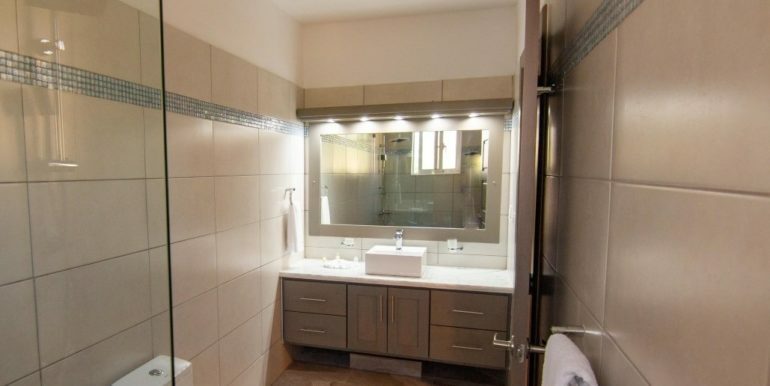 The bedrooms show a clean, neutral tone design that pleases the eye, following the same approach to design in the bathrooms. 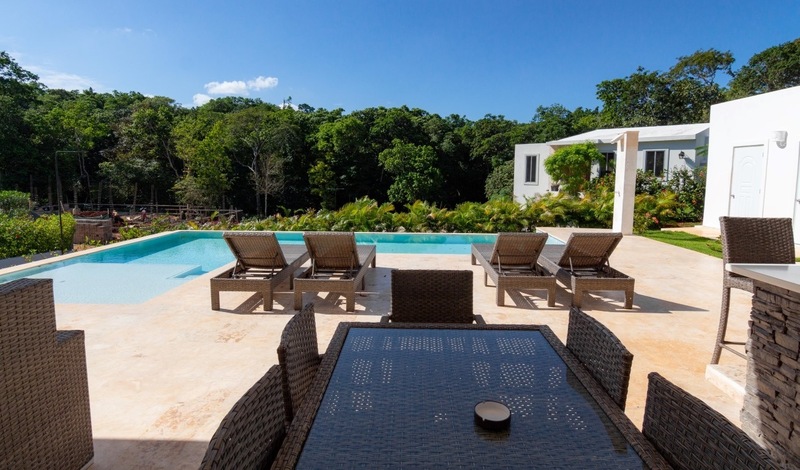 Outside, the villa has a private infiniti-style overflowing swimming pool with deck, lounge, outdoor kitchen and shallow ledge. 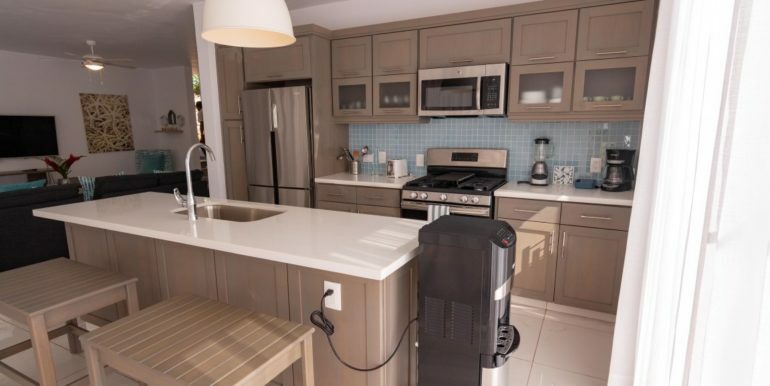 This rental is fully equipped with WiFi, cooking utensils, security around the clock, power and maid service ( please see attached terms in pdf ). 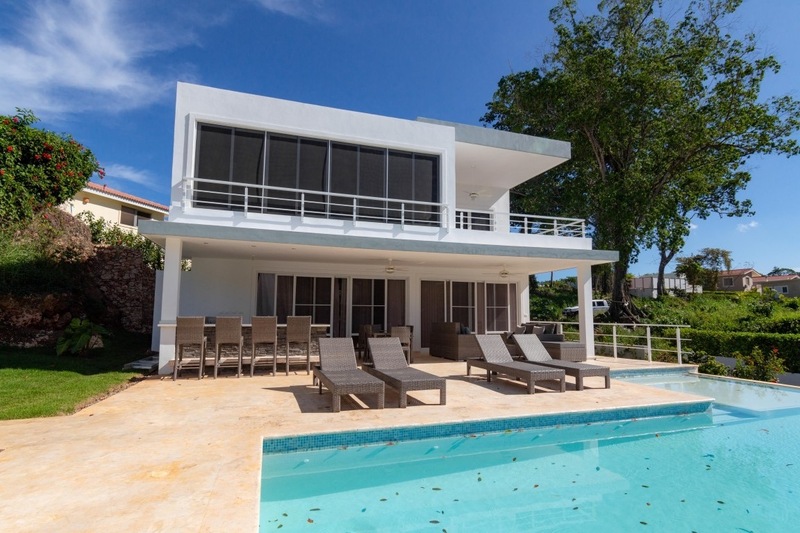 Sosua Beach is a 5 min drive from the villa, also the town center. 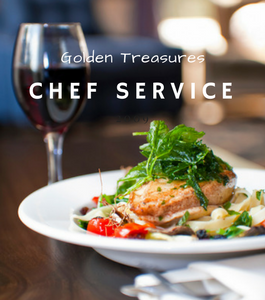 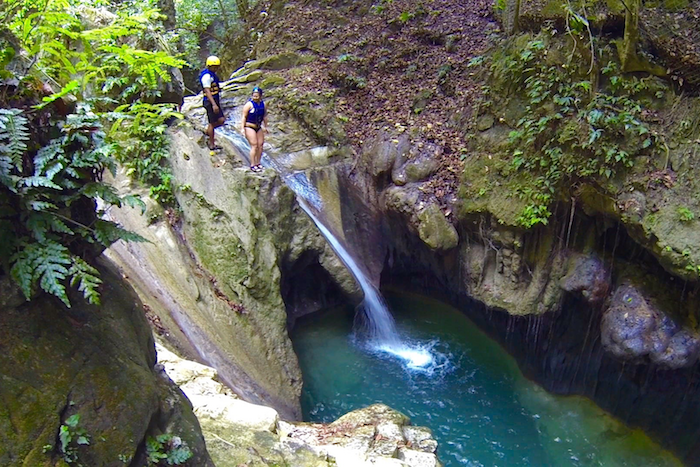 Sosua driver service is available full time at affordable rates, also private chef service. 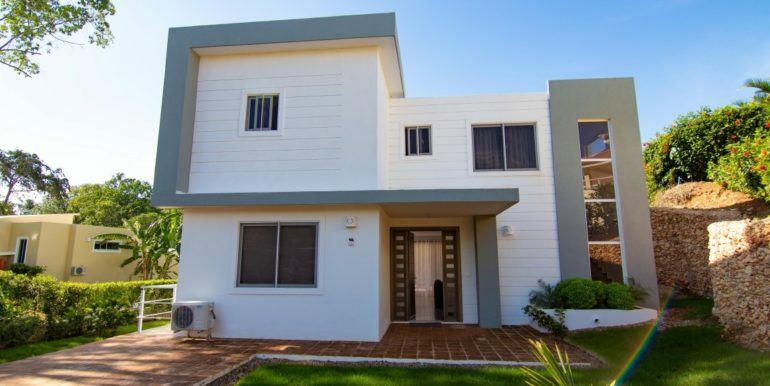 Property Ref code #spc1574-745.